With a decisive 3-1 victory over Team Liquid on Sunday morning, Team Secret finally brought the troubled DOTA 2 Shanghai Major to a mostly-satisfying close. In a tournament where nothing had gone as expected, it was only fitting that two teams that entered as complete dark-horses vied for the $1.1 million grand prize while the all of the early favorites watched from the cheap seats. 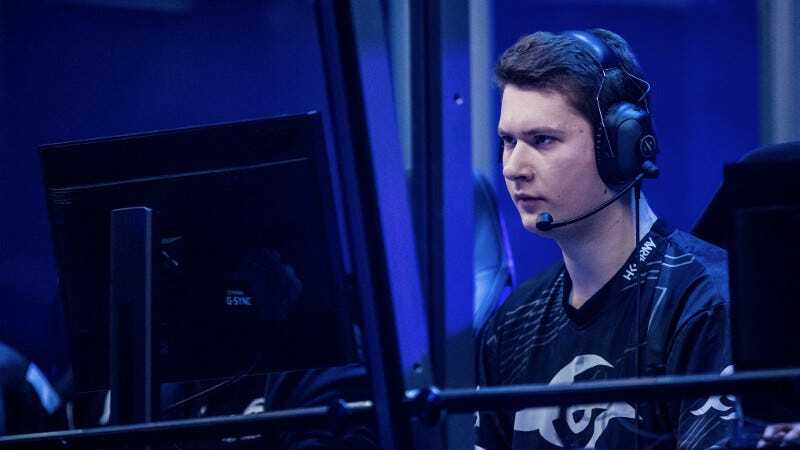 The victory gave and Secret captain Clement “Puppey” Ivanov his second DOTA Major victory of his career, and his biggest victory since winning the very first International as a member of Na’Vi back in 2011. It also marked an unlikely turnaround for Team Secret, who were regarded as the best team in the world prior to The International last year, where they vastly underperformed. In the wake of that disappointment the roster lost two of its stars, including Artour “Arteezy” Babaev (who went back to his old Evil Geniuses team), and it seemed like Secret were finished as an elite team. Some surprising victories and near-victories in the fall hinted that the team had bounced-back stronger than expected, but it wasn’t until Sunday’s victory that you could say Secret have completed one of the most impressive comebacks in DOTA 2. They accomplished all of this at a tournament where the spotlight was on other teams from the start. Evil Geniuses looked like the team to beat thanks to an impressive string of recent finals appearances, while EHOME had been dominating Chinese DOTA 2 since the end of last year. Next to rivals like that, Secret seemed like a long-shot. But EHOME fizzled along with every other Chinese team, while Team Secret knocked EG into the lower bracket where Team Liquid eventually eliminated them. That’s an outcome that will likely re-ignite the debate about EG’s Arteezy: despite being one of the best DOTA 2 players in the world, teams seem to enjoy their greatest success after he leaves their roster. The star for Team Secret during the final was Aliwi “w33" Omar, who seized control of the series in Game 3 with an overwhelming performance on Invoker. The highlight of the series had to be the end of that game, when w33 just teed-off on Team Liquid and went on a seemingly-endless killing spree. Despite a lot of great plays and great games, the Shanghai Major will likely be remembered for its failures. There was the off-the-rails production in which a notable host was fired by Gabe Newell practically mid-broadcast, the first day of the main tournament almost a full day to complete, and delays meant that viewers seemed to watch more of the pause screen than they did DOTA 2. Then there was the abysmal performance from the host nation’s DOTA teams, as every Chinese team crashed out of the tournament without breaking into the top eight, and leaving a sullen and demoralized audience in their wake. The Major series was an attempt to give DOTA 2 a proper season outside of The International, without Valve having to exert as much control or influence as Riot and (to a lesser extent) Blizzard wield over their competitive ecosystems. In Shanghai, Valve seems to have found the limits of that approach.